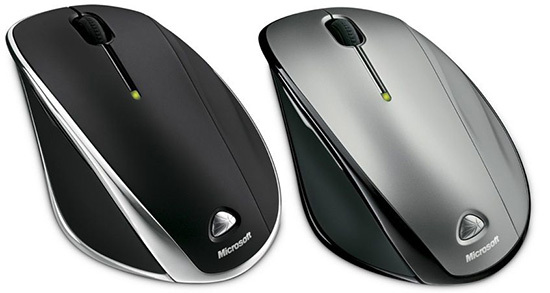 The worldwide leader in software, services and solutions, Microsoft has added two new mice to its line of award-winning input devices with the latest Wireless Laser Mouse 6000 (right) and 7000, packing with high-end technology features in sleek designs to deliver supreme performance and comfort, aiming to enhance your computing experience. Both Wireless Laser Mouse feature the same 1,000 dpi (dot-per-inch) sensitivity, one button access to Flip 3D and 2.4 GHz wireless technology, which is good for a 30 foot range. The new Microsoft Wireless Laser Mouse 7000 and Wireless Laser Mouse 6000 will be available in coming March for about $70 and $50, respectively.